ADCH Leo finished his MACH at the AKC trial in Ventura on March 30, 2013. Hard to believe that less than three years ago, Leo was serving his second term in the County Animal Shelter. 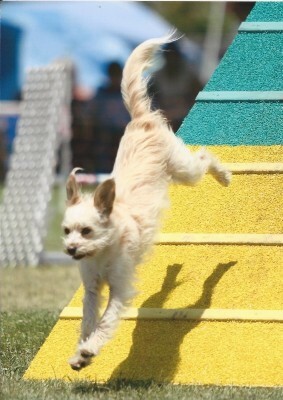 Leo has quickly gone from two-time-shelter-inmate to two-time-agility champion with the help of Dorothy and GVDC.